The Utah 1033 Foundation is proud to acknowledge our current donors who, in a given year, have donated the “magic” number of $1,033. One of The Utah 1033 Foundation’s most important initiatives is to expand our 1033 Club membership as we attempt to improve our program offerings for the families of those who risk and sacrifice so much for the good of our Utah communities. We have an ambitious strategic target of 1,033 current Club members (and we have a long way to go), so please help us spread the word! Club members will receive an annual membership coin for each year of Club level support. In addition, current 1033 Club members will be invited to special events and functions as opportunities arise. We rely on donations from individuals, corporations and private donors to maintain our programs. 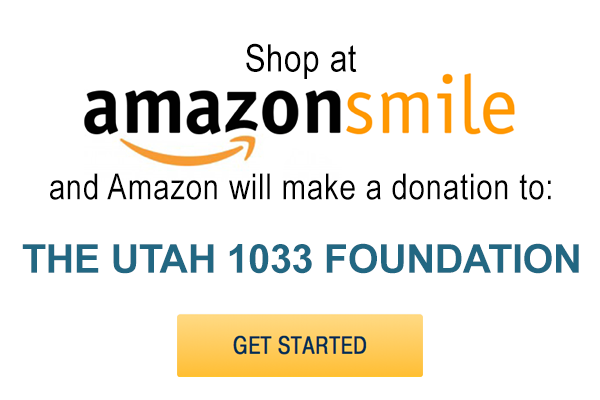 If you are interested in supporting The Utah 1033 Foundation, please consider donating today.